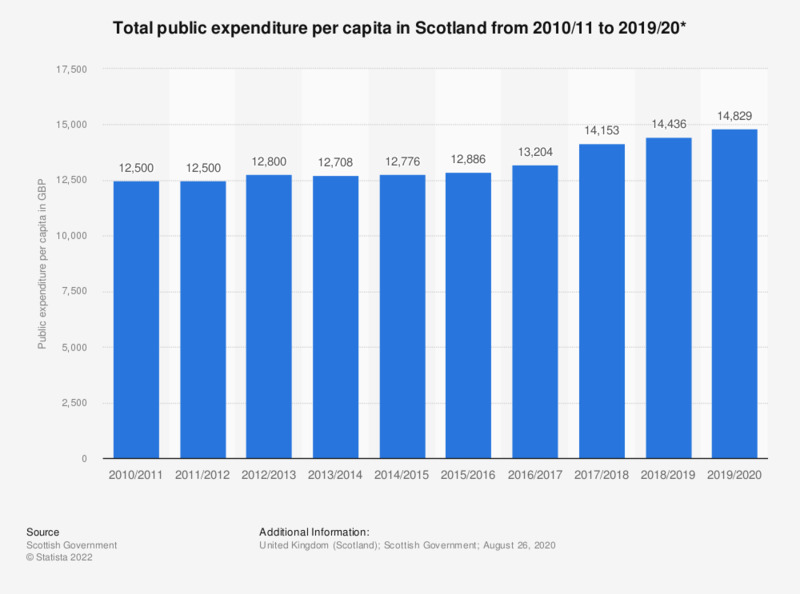 This statistic shows the total public expenditure per capita in Scotland from 2010/11 to 2017/18. Government spending per capita increased constantly to peak at 13.5 thousand British pounds in 2017/18. * Figures have been rounded to the nearest 100.